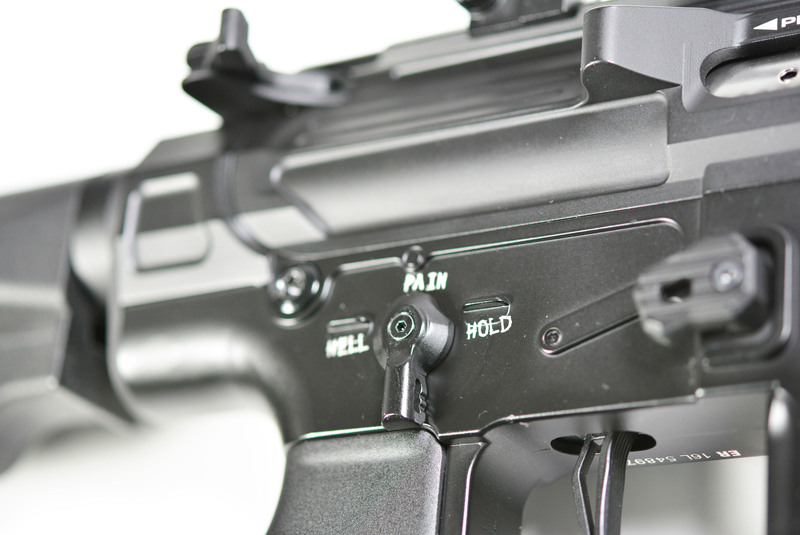 APS if finally here with the latest news for 2017. 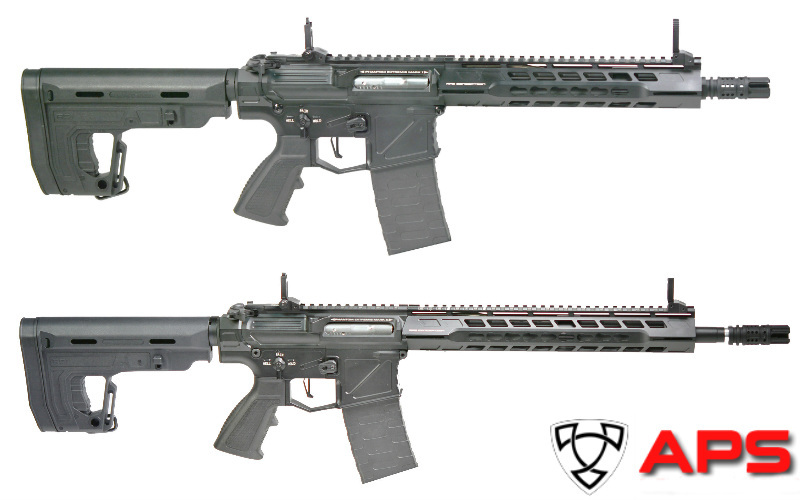 The sales of their new flagship AEG named Phantom Extremis Rifle will start soon and continue throughout of 2017. 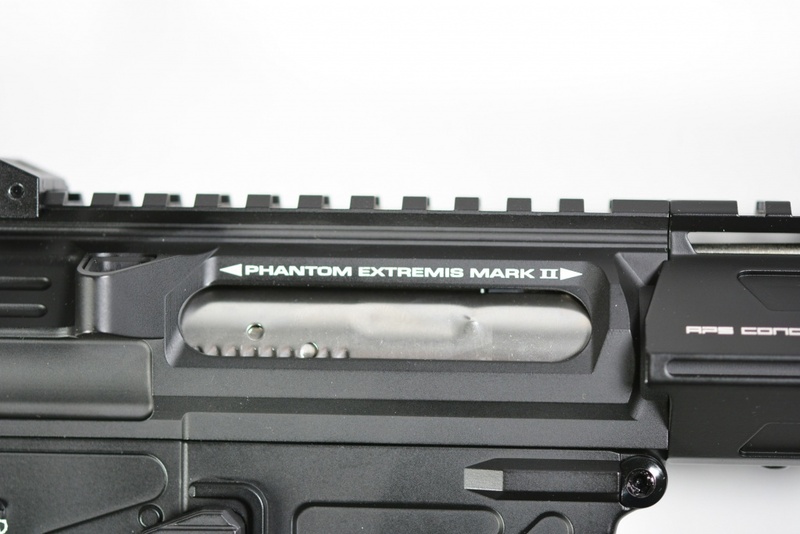 Their new AEG will surely be received very well from the Airsoft crowd as the Phantom Extremis Rifle looks bring something fresh on the playing field. How the rifle performs we shall see when the rifle will be released and the first reviews will flood through. Until then some teaser pictures for your enjoyment. 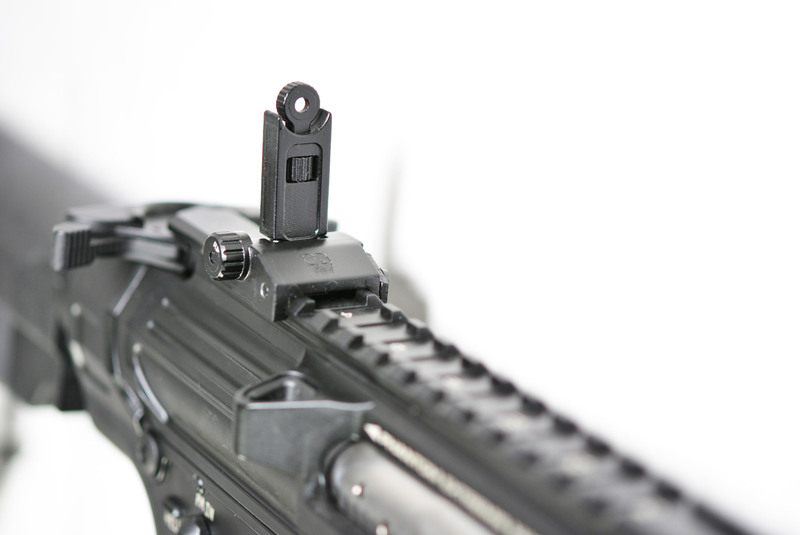 New Spaceship look alike upper and lower receiver with quick change spring features, user can simply remove the buffer tube and reach the gearbox’s spring guide to do spring replacement. 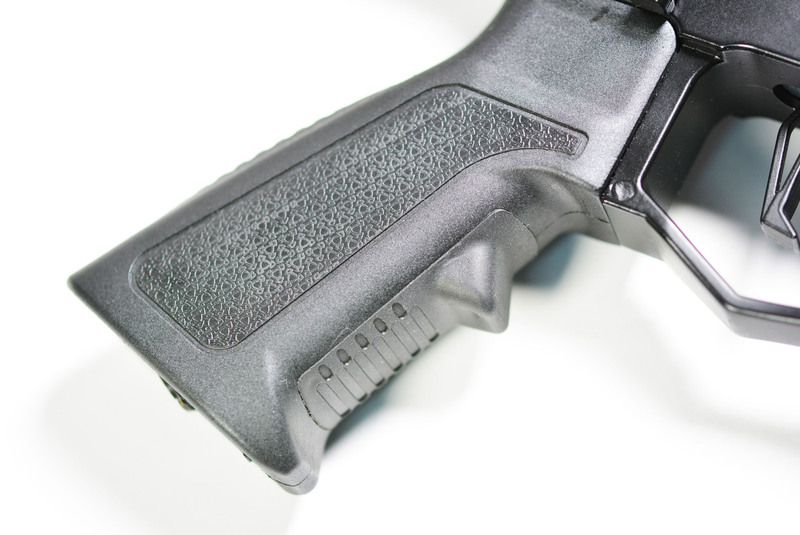 New pistol grip (Phantom Overload) that pre-installed with Non-Slip EVA plastic in the front and rear increase the comfort of holding it. 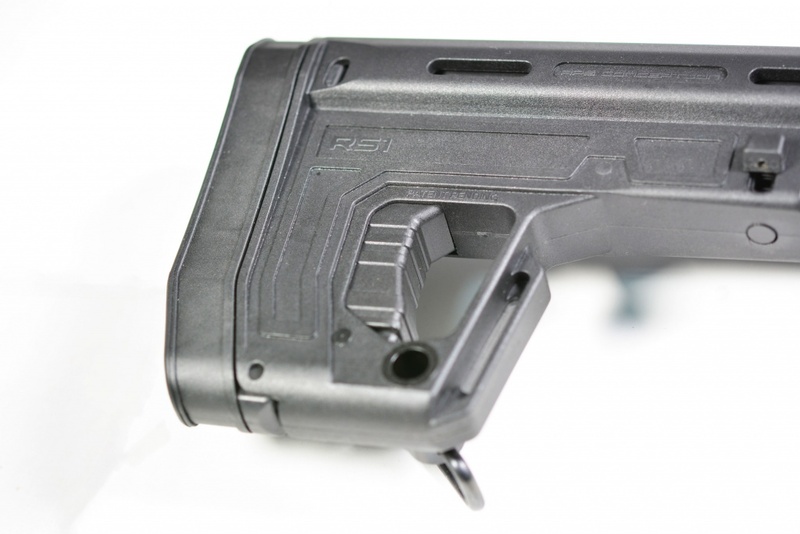 This pistol grip has shock absorption deign in the interior that reduce the vibration generated from the start up of the motor, thus relatively improve the motor performance and significantly reduce the battery loading to 10.5 Ampere. 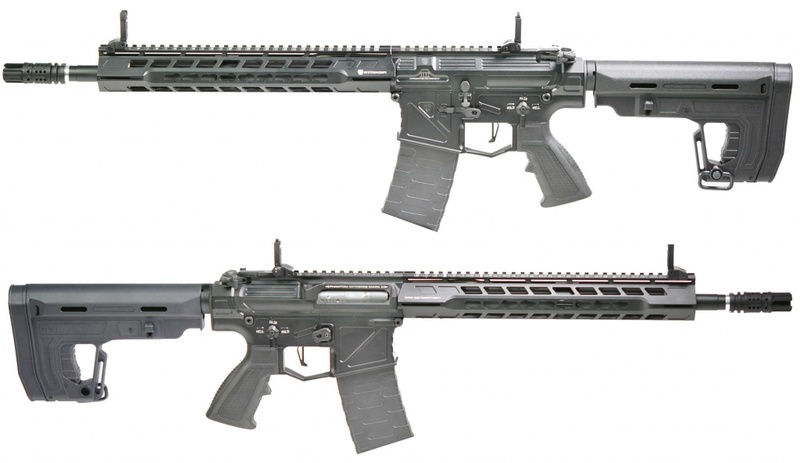 To conclude, APS New Phantom Extremis Rifle (PER) is a future weapon for Airsoft friends. 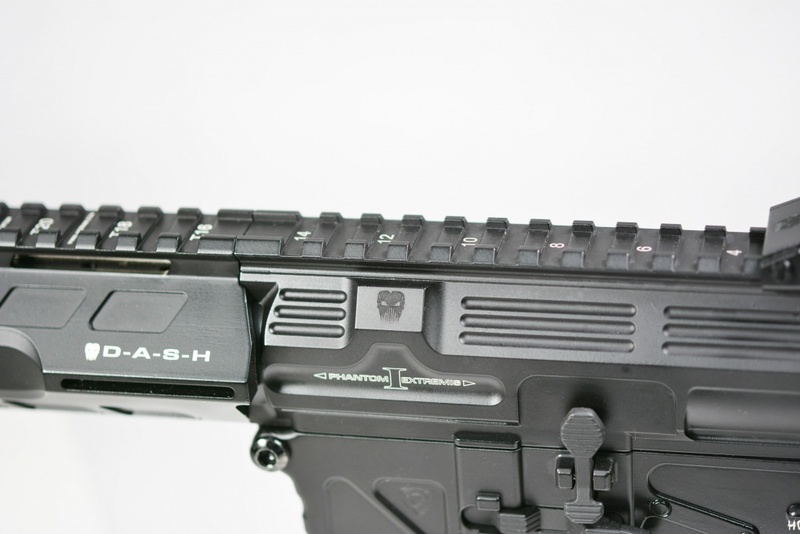 Its appearance looks sci-fi, the design of the body receiver is coming from the idea of a spaceship. 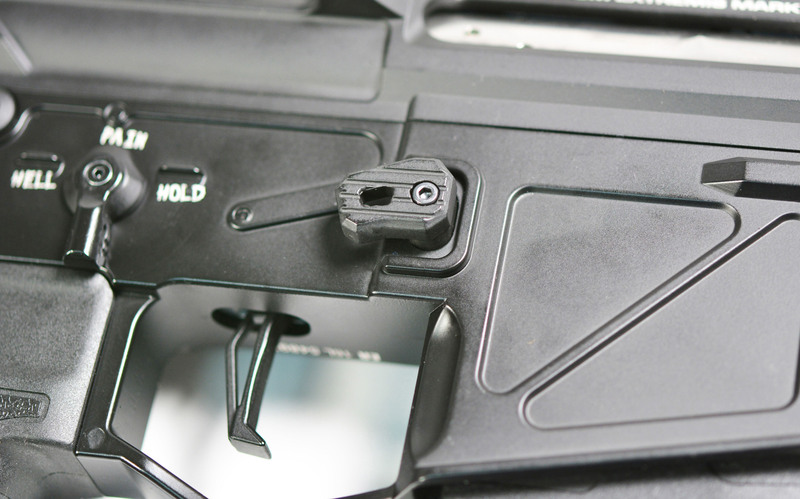 We put all the advance features like Ambi switches and button for the players. 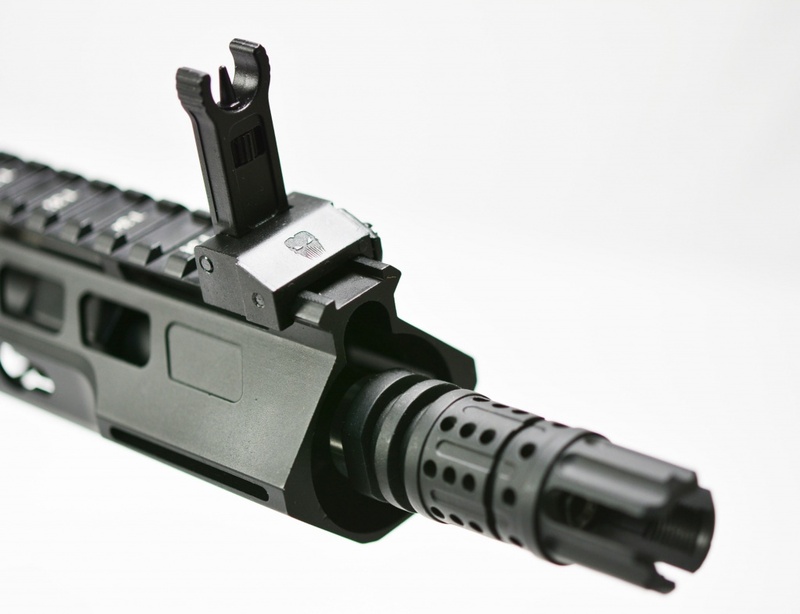 As quick change spring Silver Edge Gear Box is highly reputed in the market, this PER rifle make full use of quick change spring function that benefits the user. 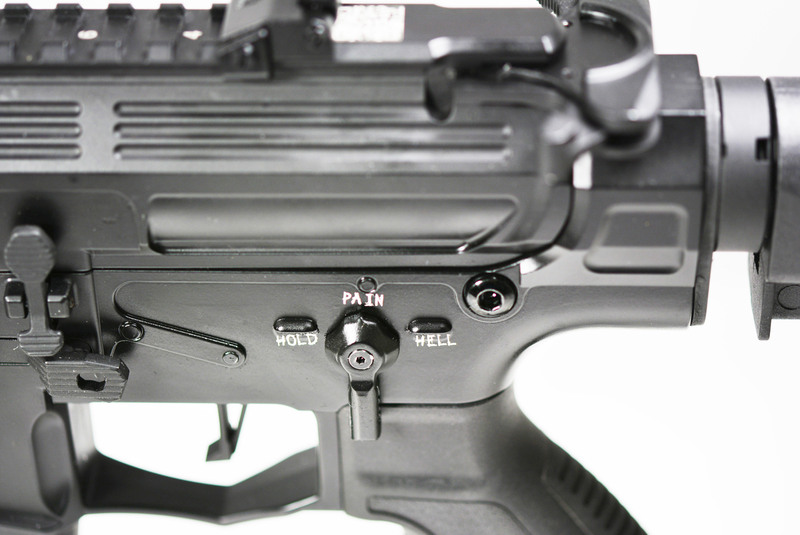 We strongly believe this rifle will dominate the market in 2017. 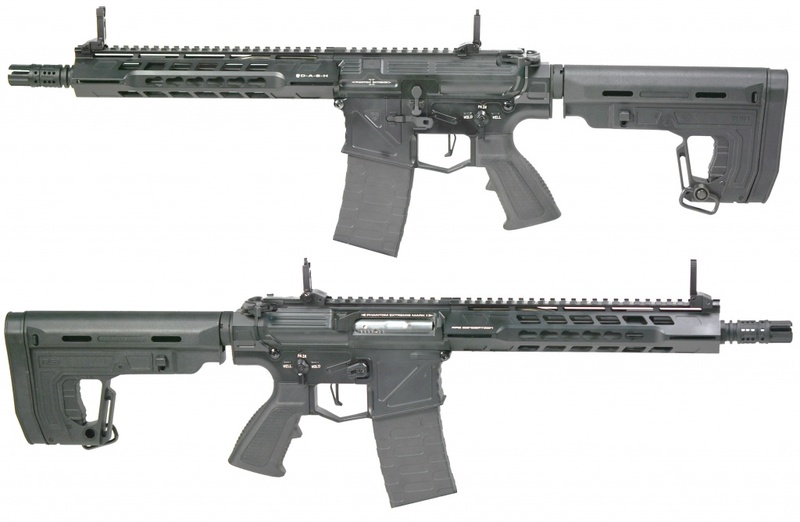 RedWolf – Cybergun FN Scar-H GBBR restocking alert.